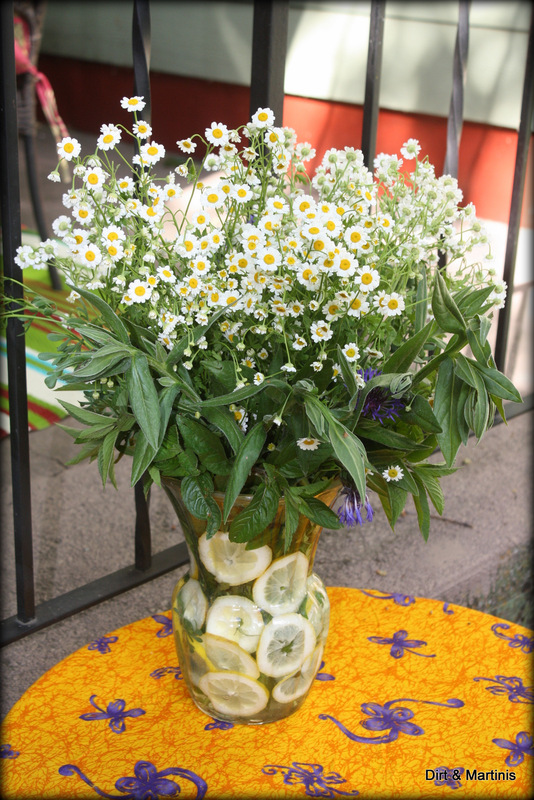 After hugging your flowers put them in a vase lined with lemon slices. Pretty, huh? pretty! does the acid from the lemons bother the flowers? Thank you Forest! Good question. I didn’t notice if the flowers were affected by the lemons or not. Perhaps changing the water daily would be a good idea, especially if you’ve spent $$$ on your bouquet. 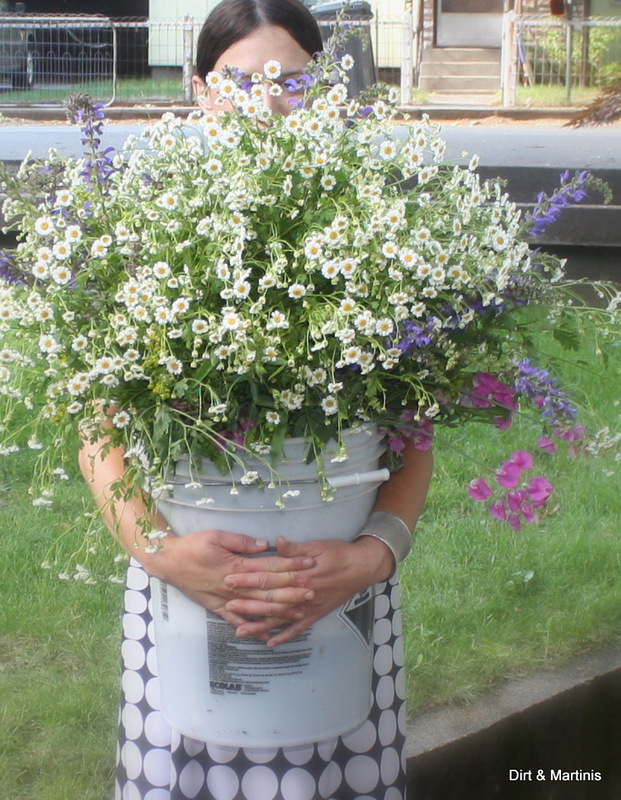 I used herbs (mint) and flowers (feverfew) that were growing like crazy in my garden, so if the bouquet didn’t stay as fresh longer I didn’t mind. Laura here from Raise Your Garden. I love the flowers and lemon slices…too cute =) Though I confess, I have NOT hugged my flowers today or even very recently. I think it’s because they are all dead from the lack of rain. Thanks for visiting my blog and tweeting. I have no clue why Tom’s picture comes up…too weird!